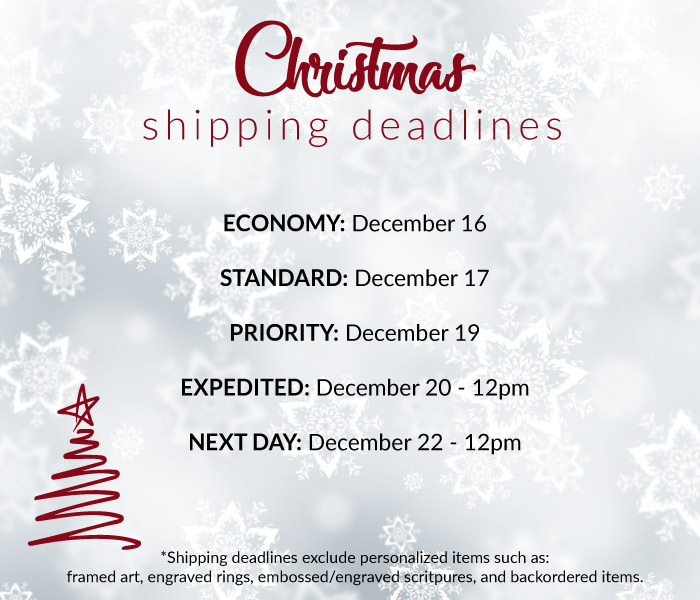 •Engraving, embossing & gift wrapping services may delay shipping up to 1 week. •Please allow 1-2 weeks production time on all art orders. •Large items such as art and statues may have an additional shipping surcharge depending on size and weight. Surcharges range from $15 - $40, depending on shipping method. * Orders with Standard & Priority shipping placed before 9:00am MST, M-F will be shipped that day. Orders with Expedited and Next Day shipping placed before 12:00pm MST, M-F will be shipped that day. *Additional delivery fees apply to Priority ($5), Expedited ($10), and Next Day ($15) shipments to Alaska and Hawaii. We proudly ship to other countries via DHL Global Mail including Canada, Australia, Europe, and dozens of other countries. We offer a standard international delivery which has limited tracking, as well as a priority international delivery which includes complete international tracking to your door. Rates are automatically calculated based on shipping destination and total order weight. Shipping rate will be displayed in your shopping cart as well as the checkout page.